Have you ever wondered how some companies manage to out-perform others when it comes to marketing their business online? It’s easy to get lost in the mire of marketing information out there. You get bombarded with conflicting opinions about what’s best for your business and you end up more confused than when you started researching. According to ComScore 45.4 percent of people have engaged with some online video content within the last month and Youtube is reporting a 100 percent rise year on year. If that doesn’t prove the value of video content for business then we don’t know what does. It’s easy to engage with visual content and people will think nothing of viewing content such as this as it’s ingrained into our every day life since the Youtube revolution. We now expect to see video content rather than not. 75 percent of work executives watch company video content at least once a week. 90 percent of people interviewed for a recent survey said that they found video content helped them make a considered business decision. Giving potential customers or clients the chance to see who they will be working with by making your content personal is a great way to instil confidence from the outset. How Do I Know Which Online Video Production Company To Employ? It’s imperative that you do your research. Take a look at the company website and make sure they have a portfolio. You’ll want to see what they have done for other businesses to give you an idea about what they are able to achieve for you. We make sure we are completely transparent and offer a large selection of our recent production information via our website. It’s also important that you feel completely at ease with the video production company you are contemplating working with. The production process will require lots of discussion and an understanding between both parties so a good working relationship is key especially as you are going to want to feel at ease if you are featuring in any of the video content. There are of course many other ways you can promote your business online but video content is becoming ever popular when it comes to boosting your online presence. Not only does it help convert visitors into clients it also helps boost your search engine rankings when it comes to Google, Yahoo and Bing. So What Else Can Online Video Production Do To Help Your Business? Don’t forget that if you have a video embedded into your website you can also upload it to Youtube and other popular video resources. If you make sure that you ask someone in the know about optimising your video for Youtube or learn how to do it yourself (it’s easy peasy) then you also have a high chance of your content being viewed by an even wider audience. In today’s competitive market it’s easy to overlook some important elements in your marketing strategy. Video should not be an afterthought. It’s a key component when it comes to nudging your business ahead of the competition. If you think of it as a permanent advert for your amazing product or business then it’s a very sound investment. 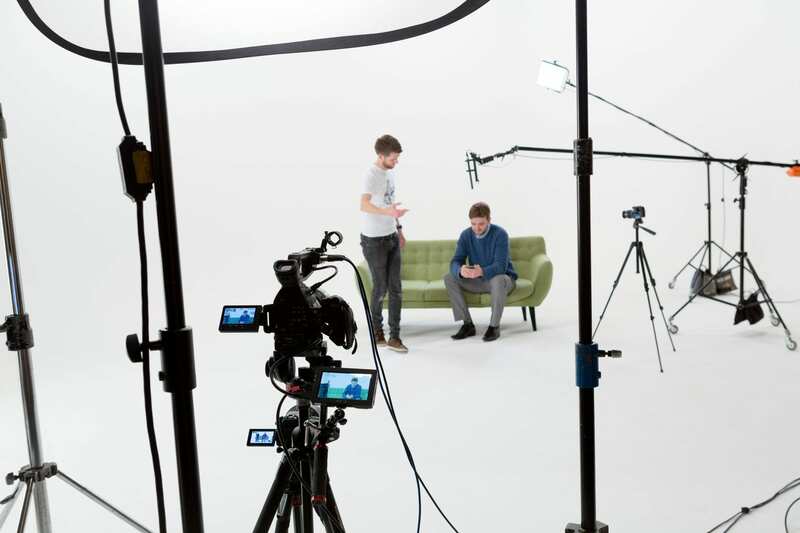 Online Video Production – Jooka are based in Holt at the Glove Factory Studios on the outskirts of Bath.